One of my resolutions in the coming year is to help my son be a little better at his daily duties. 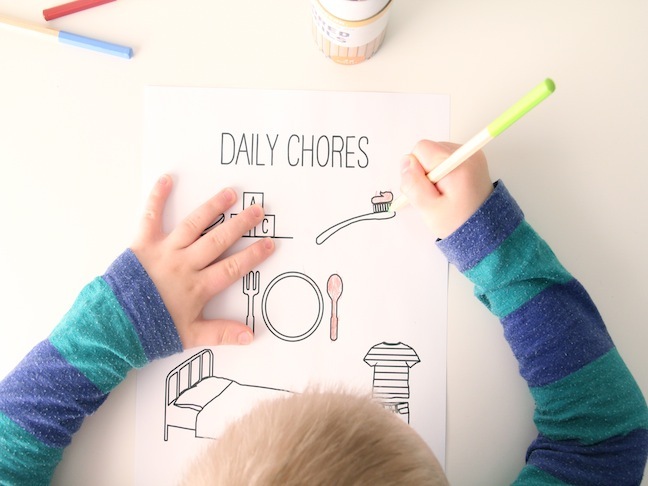 A fun toddler chore chart has made all the difference for him! You can download the chore chart, or make your own. 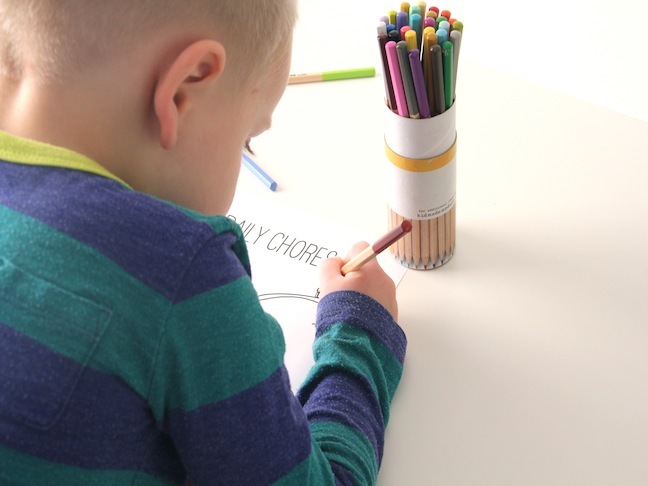 Print out the chore chart, or create your own using a piece of paper and a pen or you can make it on your computer! Just print it out or make copies, and every day once they have finished a chore, they can color it in! It’s a lot of fun and it’s a win-win for the parents and the kids! Save the image below to print it out, or click here for a high-resolution version of the daily chores chart!